Topic started 3 years ago by cesar_garza01 in Audio and video recordings. Since then 2,311 posts have been made by 197 users. Until today the database had listed a soundboard for this show, but there is in fact only one source for this concert and that is the brilliant recording by Malcolm Beaton. It is so good that has indeed been mistaken for a soundboard...but it is really an audience recording. Some other confusion regarding this recording concerns the recording gear. Both AchtungBootlegs and U2Depot have "Hybrid Casio Capsules" with the legendary Sony WM-D6 (how different would the world have sounded without it?!). But in 2014 a new (24-bit) transfer of the master tapes stated "Audio Technica AT-821" microphones. I take it that the 2014 information is correct, but I have no 100% confirmation. 1. The "old" transfer from the master tapes (with incorrect source info stating Casio hybrids insteat of AT 821's) - the one mistaken for soundboard and having over 1300 downloads here at U2start. 5 seconds delay. And this is about the only positive thing that can be said about these audience sources...this is certainly a "plus" for these recordings. There are at least two different audience sources. 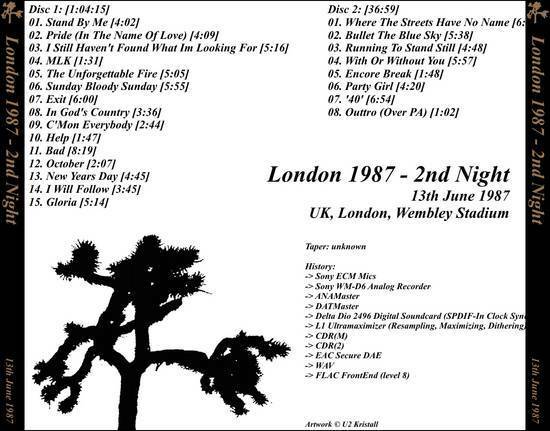 One comes from an Unknown Analogue Generation tape that was transferred and shared by @Rick14 on U2Torrents. Another source can be found on the "Do You Believe In Soul Music?" bootleg/recording. I think the latter is the most pleasant to listen to. Although still a bit hissy with a substantial amount of surface noise, the sound is very well balanced and the show seems to be represented at more or less the accurate speed. What still is a bit of a mystery though is the vinyl origin of this show. The vinyl is clearly to be distinguished (but in a non-disturbing comfortable way), but I can't seem to find any other on-line references to this vinyl bootleg, let alone pictures of its art. Perhaps @dema75 still has these vinyls and can shed some more light on this mystery. Hopefully someone will make this master available once again, because it is no where to be found and this second Wembley Stadium show was truly outstanding! To celebrate the 21st anniversary of the legendary Popmart Jo'burg concert, I've updated the show page / audio tab with 3 new bootlegs and/or concert recordings. "Last Night On World Tour '97-98", the one that was already in our database, is taken from the TV broadcast and in my opinion it is the least attractive source. "Going, But Never Gone" and "Pop Giants" are identical (sound and track index) and seem to originate from an FM broadcast. Although the lineage of "Going, But Never Gone" speaks of a "video master", it was not uncommon those days to record only audio on a VHS tape. One, because the tape was much longer and capable of recording the entire show, and, two, because it yields better results in terms of azimuth, tracking and more stable tape speed than ordinary tape decks. Of course, the high-end tape decks are a different story. 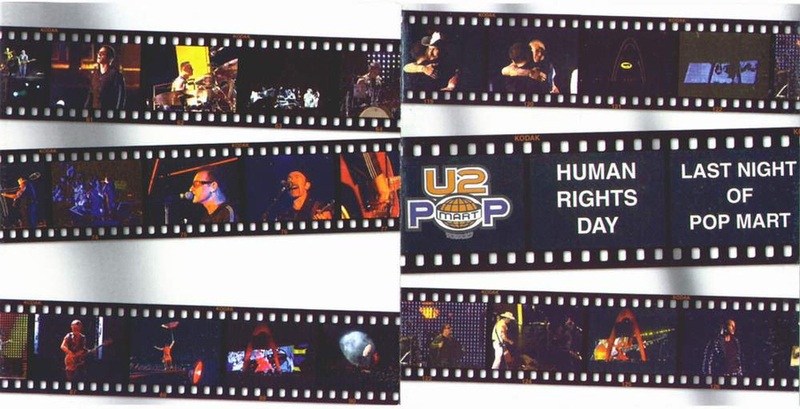 Last but not least there is the bootleg CD-R "Human Rights Day - Last Night Of Popmart", which is exactly the same as the silver cd "Human Rights Day" [U2SA 21398A/B]. I suspect these bootlegs also originate from the FM broadcast (they have the FM-signature), but pleasantly remastered. PS: please note that for most parts of the world Human Rights Day is celebrated on December 10. South Africa is the exception by celebrating it on March 21st. show page / audio tab has been updated with the silver pressed cd bootleg "Avanti Milano" (Golden Eggs). Is it really liberating a recording if the recording was already widely released? Originally posted by hoserama :Is it really liberating a recording if the recording was already widely released? By the way, a huge thanks for the site update a few weeks ago that shows exactly which recording/download on any particular show page was updated recently. Of course, 9 times out of 10 its easy to figure out, but sometimes that info comes in super handy. Sure, but the music is the same. Do both need to be hosted? (I'm just being my usual fussy self). It's a good question. Didn't see it coming to be honest, although I'm aware of MLK's disclaimer about not selling the recordings. But we're not selling. The aim of the database is to give a comprehensive overview of all U2 recordings, and preferably with direct access. A work in progress and nowhere near of being ready, but this on a side note. 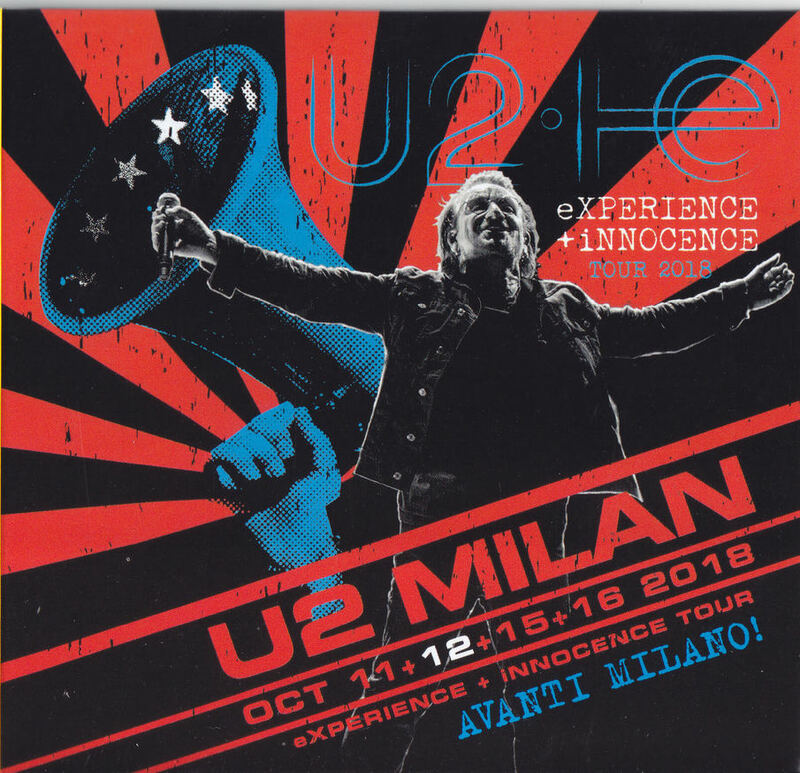 In this case the entry of the Milan 2 silver bootleg is informative, and we like to give people the choice of download. Perhaps some prefer the Golden Egg cut, who am I to say. But if you or MLK think it is inapropriate for U2Start to host this bootleg, I will consult with @remy to take it down. Nah I don't think it's necessarily inappropriate, I just find it strange that we'd be hosting duplicate audio with a slightly different package. And of course, the package doesn't matter so much when it's downloadable.